Greetings Distillers! Your hosts Mac & Ryan have finally returned after a grueling October to once again combine booze and Disney news for your listening pleasure. 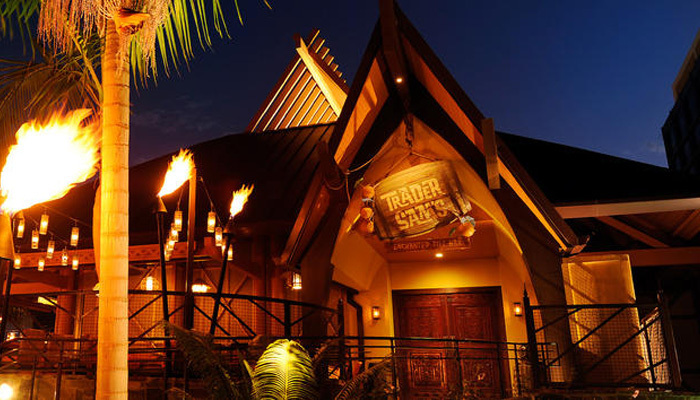 Our featured drink celebrates the creepy motif of Halloween- This Chilling Challenge from Trader Sam’s Enchanted Tiki Bar! Be warned however, the recipe we have may not be 100% accurate, as the drink came and went very quickly! 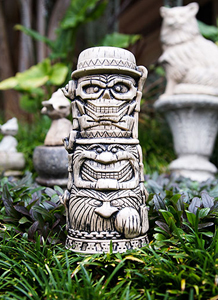 This Chilling Challenge was served in this limited edition Hitchhiking Ghosts tiki mug. Combine ingredients in mixing glass with ice and shake. Pour into cocktail glass with ice. For this episode we cover some news from Disney’s Hollywood Studios in Orlando, some interesting stuff happening at Sea World Orlando, Knott’s Berry Farm in California, and some entertaining news about everyone’s favorite rugrats, the Muppet Babies! Our main topic delves back into the world of Los Angeles based Halloween Haunts at Knott’s Scary Farm and Universal Studios Hollywood.